Mitsubishi has become one of the biggest companies on Earth, with some of the most common cars all around the world. It is almost a century old company, and is responsible for many innovations in the automobile industry. This article will thus enlist 5 of the most surprising facts about the company that you probably don’t know about. From its foundation in 1917, the company has evolved from a small entity to a huge multi-national corporation. It has now established its presence in more than 160 countries around the world, and continually expanding. And is the 16th largest automotive manufacturer in the world. It has certainly made its presence known in the world, and personally, I’ve never passed 1-2 streets without seeing any sort of Mitsubishi vehicle. Most companies have logos which clearly describe the company’s message, contain its initials or the like. However, Mitsubishi’s logo consisting of three triangles is unique in that sense. The logo was originally created for the shipbuilding shipping company, which was its predecessor, and was trademarked in 1914 for Mitsubishi. The three triangles are meant to signify a water chestnut. The word for three in Japanese is ‘mitsu’, and the word for water chestnut is ‘bishi’. Hence, the company’s name ‘Mitsubishi’ was derived from the logo. One fact that many people might not know is that Mitsubishi was one of the first companies to manufacture an electric car. And not just any electric car. The car, which was introduced in 1992, was the first electric car which was able to travel 2000 km in less than 24 hours. It went on to sell 10k units, and this achievement was also included in Guinness Book Of World Records. 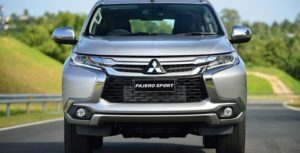 Perhaps, one thing that is not so known about Mitsubishi, or the whole automobile industry for that matter, is that Mitsubishi has broken several world records. Among the various records it has made, following are some of the most prominent ones. One is already mentioned, which is the electric car travelling 2000 km in 24 hours. Similarly, it also holds the record for the fastest driven square lap in 19 seconds and shortest braking distance for a vehicle on ice. Apart from that, Mitsubishi is also well-known in the racing world, and has several of its cars participating in NASCAR, as well as many other racing tournaments and dirt rally races. Mitsubishi is most famous for its fame in the Dakar Rally, the 7 consecutive wins of which, are unmatched by any other company. Mitsubishi is also known for its rigorous and strict safety measurements. Its 2015 models of Outlander, and Lancer sedan, were picked for the ‘Top Safety Picks’ by the IIHS. Similarly, Mitsubishi was the first company which was the first to design a Traction Control System, which was revolutionary for the safety of cars. Thanks to Mitsubishi, it has now become a safety standard and norm for most automobile companies. If you want to buy any spare or new parts of your Mitsubishi vehicle, then I must recommend www.bildelestore.dk. It is Denmark based, and provides top-quality parts for your Toyota vehicle.